The #FABTravelingBag is making its way all over the US! Each Project Fab Blogger was given two weeks to style and take this bag by Catherine Malandrino ($49.99 at Marshalls, normally priced at $108.00) around their city or on a summer vacation. Living in DC means living within walking distance from many monumental structures - making it easy to play tourist whenever I can find the time. 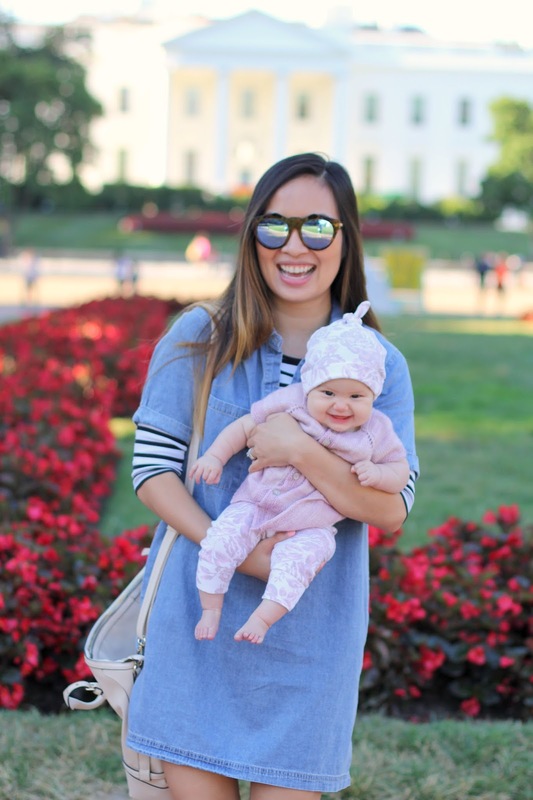 One cool DC morning, my family and I took the #FABTravelingBag on a walk by the White House. 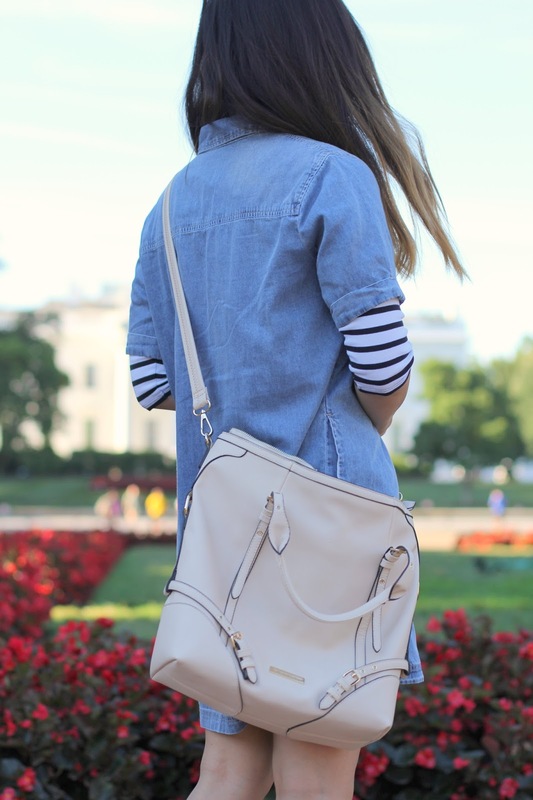 I paired the very versatile bag with a chambray dress layered over a striped shirt and my go-to Nikes for a comfortable and casual look. It was so much fun being a part of this "Sisterhood of the Traveling Bag". 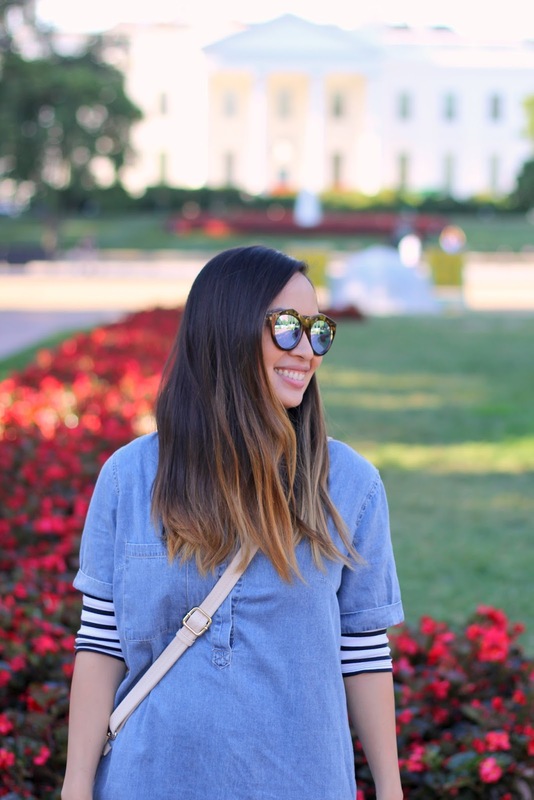 See all the locations and blogger's styling here. Great weekend outfit. Perfect layering. And the last photo is beyond cute.